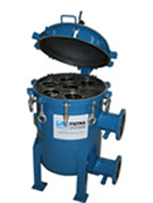 Duplex Bag Filter Housings enable constant operation, reducing your overall operating costs. 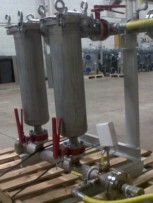 What's important is your flow can be switched back and forth between two filter vessels, guaranteeing that your filters are always online, even during bag changes. Quickest Turnaround because these duplex housings come with a spring balanced lid and swing bolts that make bag changes faster than almost all other lid designs. Needle felt filter bags are the most economical disposable filter material available and are typically used: in the automotive industry, for water treatment, in pharmaceutics, the food and beverage, the chemical industry, for paints and varnishes and many many other applications. 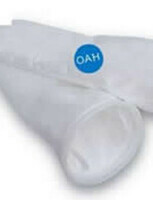 Our clients order these filter bags because they provide depth filtration and surfaces free of fiber migration. 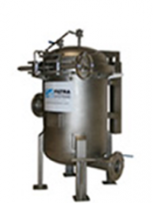 Plus, our hot melt seamless welding technology ensures effective filtration and no-bypassing. Needle felt filter bags are best suited for low and medium viscosity liquids and are available in a wide range of micron ratings and two different materials of construction (polypropylene and polyester). 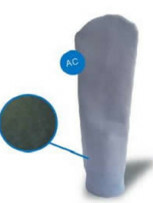 Activated carbon filter bags are made with activated carbon fibers which have exceptional adsorption properties for organic chemical compounds. 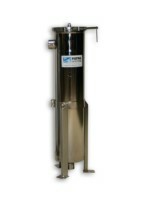 For the most part, these filter bags are typically used for removing trace amounts of organics, heavy metals, colors or odors from hazardous wastewater streams in industrial water filtration systems. 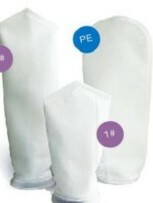 Want help with getting the ideal filter bag for your specific application? Simply give us a quick call, 248-919-6119, we'd be happy to help you. 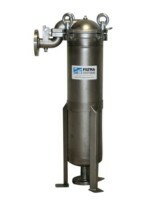 Important note, these nylon bags are typically used to filter solvents, hydrocarbons, and in other applications where more porous filters are needed. Not sure what micron rating will work best for you and your application? Let us help you get the correct size by calling 248-919-6119 now. These high-efficiency oil absorbing filter bags are made of pure melt-blown polypropylene fiber which has a large oil absorbing surface area and excellent oil absorption capability. Also, they are acid-proof, alkaline-proof and stretch resistant. 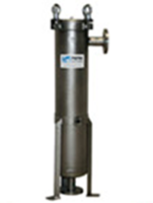 These filters are typically used to remove oil and other impurities from water or wastewater in industrial applications because they are high-efficiency absorbing oils. In the end, it's the multiple layers, which gives them over 90% removal efficiency and significantly increases holding capacity.